When you want to look your best and just don't feel like wearing a dress shirt and tie. 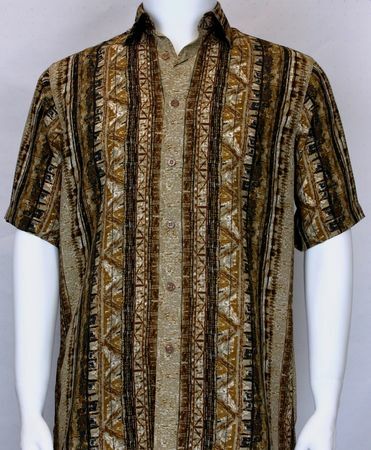 I strongly recommend wearing one of these Bassiri short Sleeve fancy Pattern casual Shirts. These short sleeve unique pattern shirts are great for wearing with your favorite jeans or dress pants and still look dressed to the nines. This Bassiri short sleeve shirt is made of soft touch Microfiber.